Patrick Kane scored for the first time in what felt like forever, and played with a swagger that had been missing for the last couple weeks. His second goal in 14 games followed a gorgeous assist on Jonathan Toews’ goal to open the scoring, and the Blackhawks stayed hot. After a couple weeks of relying on secondary scoring, the stars came to play in a game that was delayed 30 minutes because of weather. Friday night was Kane’s first multi-point game since Dec. 5 (20 games). He was also credited with two hits and four takeaways in the game. 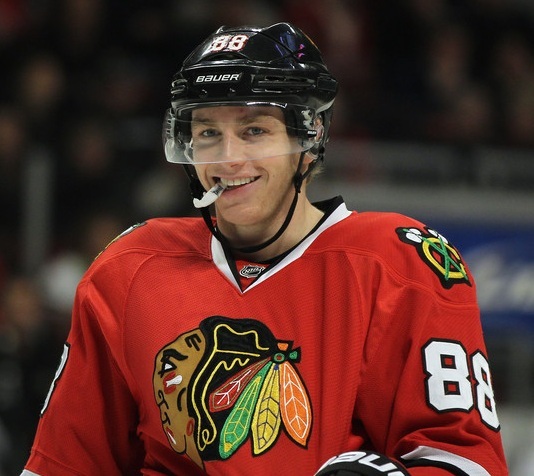 In between Toews’ Western Conference-leading 27th goal and Kane’s tally was a power play goal from Duncan Keith. Keith hadn’t scored a goal since Nov.13 vs. Edmonton (30 games), and this was his first game-winner of the year. Toews left the ice for a moment after a slash, clearly favoring his wrist. But he returned to the ice and was his usually-dominant self at the dot, winning 12 of 20 faceoffs. He has now scored five goals in his last four games. Nick Leddy had an assist for the fourth consecutive game. Marian Hossa and Viktor Stalberg were also credited with assist in the game. In spite of the relatively quiet box score, Jimmy Hayes had another strong game. Ray Emery was solid again, allowing only one goal against 19 shots, improving his record to 11-3-2 on the season. The Hawks allowed only four shots to reach him in the third period. Friday night was the tenth time in 17 appearances that Emery allowed no more than two goals. Chicago improved to 19-5-4 at the United Center; they’re in Nashville for a critical Central Division match-up on Saturday night. If this is a sellers market- as I’ve been hearing all over the net, how is it that a 3rd line depth player, with a decent cap hit, went for a 4th rounder and an undrafted defenseman? If you listen to some bloggers (not here) they seem to want to believe that it will take a package of ‘over-rated’ but not insignificant Hawk prospects to make even a depth move in this trade market. Seems to me that the value on depth is still very much as it has always been, in the light of last nights trade. I think you’re missing the reality of the situation, Ivan. NOBODY wanted Ponikarovsky. He had 15 pts and was -12 on a bad team. On the other end of the spectrum, rumors have put Chicago, Detroit, Toronto, LA, and Montreal all with interest in Ruutu, and Pittsburgh, Chicago, Detroit, and others with interest in Gleason. The Canes got what they could for Poni and moved on. They’ll have a nice list of potential suitors for Gleason & Ruutu, which will drive up their price for either/both of those guys. The issue with Kane has never been his size, or lack there of, it is his effort and compete level…last night you saw a Kane willing to compete all over the ice…he even had 2 hits, when he only had 5 on the year. A Good effort from Kaner that needs to be repeated this weekend versus Nashville. Big game tonight!!! I’m happy for Kane. Hopefully his multi-point night will quiet some of the Kane sayers, at least for the time being. Tab, you’re missing the point. I’m well aware of what Ponikarvosky is. I am refering to depth – Ruttu and Gleason aren’t depth. Top six forwards, and top four D are clearly going to be moving for more than a player like Poni, but players like Halpern, Moen ect. won’t be going for much more than that. That is my point. Kane: 1st, regardless of slumps, media hazing and reality of his lackluster play of late, Kane is not going anywhere in any trade of any kind until his contract expires in ’14 and likely not then (nor should he.) Rocky remembers clearly the 50 years between cups (the ’09 as the only one in many Hawks fans lives), and Kane will always have RW’s loyalty for his role in that accomplishment. Beuchemin: Signed for 3 years yesterday, also not going anywhere. Puts other D-men in more valuable position for their teams (the Canes Gleason for example.) Not sure the Hawks are going to do anything during the season and thinking we are likely more of an offseason trade/FA player at this point. What are we missing? Unfortunately, I fear our D will be further exposed as too soft in the playoffs and we’ll realize the need to get someone tough enough to patrol our crease for the future. Who and how? Wiill have spend some $$ and move some prospects. With respect to the trade deadline, I really don’t know what the value is for a first or second round draft pick. Can we keep our prospects and just trade this years picks for some players that can help us this year. Do we have any extra picks from prior trades i.e the Byfuglien trade? 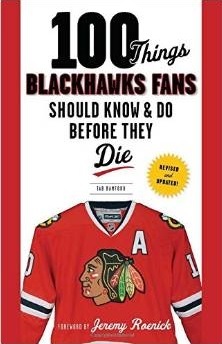 Given our youth except for Hossa, I say keep our core players and prospects and trade draft picks. Thats why I’m second guessing the Campbell move because even with the salary he would be helping us right now. What do you guys think?